True20 is dead. It lost the post 3E battle to Pathfinder. There is simply not enough interest to sustain it as a system. 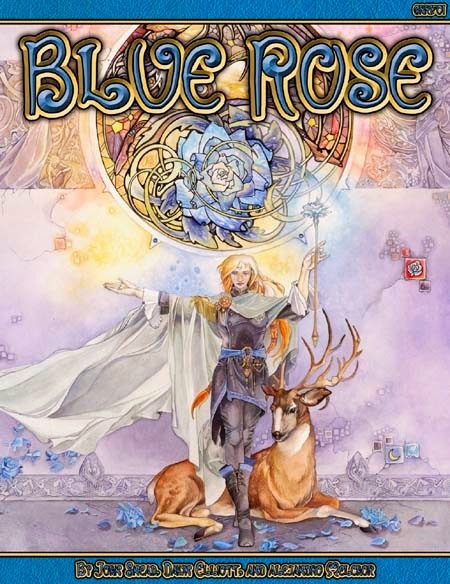 That said, I liked the setting for Blue Rose. I don't see them removing the True20 versions but I also don't see them ever doing anymore True20 material. I'm glad to see them using AGE, because in many ways they were the first major publisher in decades to bring back a beginner box. Sadly, their license really limited their ability to role with the momentum and allowed Pathfinder's Beginner Box and DnD 5th Edition to pull back ahead of them. I also presume the end of True20, which really had a lot of untapped potential, despite the swing of the pendulum towards the Pathfinder style of 3.5. I would wish that they'd take a minute and revamp the True20 system for generic release again (maybe remove some of the fiddly bits and streamline the core), but sadly, the build-your-own-class system didn't seem to catch on. Oh well.